Translation by HRIC, based on a translation by Paul Frank. Although the CPC regime of the post-Mao era is still a dictatorship, it is no longer fanatical, but rather, a rational dictatorship that has become increasingly adept at calculating [its] interests. Particularly after the June Fourth Massacre, no effort could ease the rapid decline of CPC ideology. In addition, the profit-before-everything mentality, widespread corruption, and social polarization brought on by lame reforms have exacerbated the crisis of the regime’s legitimacy to the point where even the fanning of dictatorial nationalism has failed to truly win the hearts and minds of the people. Therefore, the principal means by which the CPC regime holds onto power can only be by resorting to high economic growth and bribery with profits. Degenerate imperial autocratic tradition, decadent moneyworship, and the moribund communist dictatorship have combined to evolve into the worst sort of predatory capitalism. And the current ambiguous governing style, and the rule of extreme opportunism has also given today’s Chinese Communist dictatorship its blurry, multifaceted features. The Communist Party of China’s propaganda for domestic consumption has been characterized by both bombastic indoctrination and lowkey persuasion; both intermittent campaigns and daily preaching; grand assemblies to establish models and ceremonies to extol them, as well as common enquiries into people’s welfare; consumer entertainment, as well as deceit through the lure of gain; both a hard central theme and soft popular culture; forced amnesia and pleasure-induced oblivion. But the current CPC regime now knows that in China, where people’s awareness of individual self-interest and civil rights is growing steadily, aside from profit, everything else is false. Therefore, since June Fourth, the regime has mainly focused its efforts on buying off key cities and elites from different sectors, which efforts play a crucial role in maintaining the stability of its rule. Although it still demands loyalty of its subjects, this is far more low-key and pragmatic than during the era of Maoist totalitarianism. The regime knows that since there is no way it can obtain people’s sincere support and praise, it may as well lower the loyalty standards—to a level below human conscience, and demand only cynicism from the people, who express their support and praise against their convictions. This is tantamount to encouraging and indulging the worst in human nature: lying against one’s conscience. Degenerate imperial autocratic tradition, decadent moneyworship, and the moribund communist dictatorship have combined to evolve into the worst sort of predatory capitalism. The CPC regime suppresses dissident political forces in a variety of ways: shadowing, wiretapping and imprisonment, as well as bribery and coercion; evil laws and low schemes, as well as gray space; regime dictatorship, as well as thug violence; open criticism and, secret purges; ironfisted methods, as well as appeals to human emotion (the police officers in charge of keeping watch on dissidents invariably start up their conversations in a “getting-acquainted” tone), to the extent that even when reining in those intractable rebels, the police leave themselves some leeway in that they no longer claim to be motivated by high-sounding ideological reasons, but rather deploy the “rice-bowl theory” that they are simply trying to keep their jobs. In the face of the fact that illgotten fortunes have become commonplace, the CPC regime keeps passing more and more laws and regulations, endlessly emphasizing its opposition to corruption and its rule of law, yet at the same time continuing to indulge the behavior of those who violate the law, who are lax in enforcing the law, and who break the law while enforcing it. When the regime cracks down on famous people holding different political views, it makes every effort to avoid creating popular heroes of inspiring moral stature and international reputation. It has learned that by forcing famous dissidents into exile it kills two birds with one stone: it gives the dissidents a way out and wins favor with the international community; it also gets rid of direct political opponents, and belittles the moral image of dissidents within the country, thereby weakening the social cohesive and mobilizing power of civic opposition forces. Except for the crazy policy decisions made in extraordinary circumstances or out of fear of excessive power, the regime is ever less inclined to rely on open political movements; instead, it increasingly employs covert and intricate, at times even hard to detect, methods to purge opponents. It employs every secret, destructive trick hoping to quietly nip any popular challenge in the bud, and it goes to great lengths to reduce the negative impact of repression by blocking access to information. 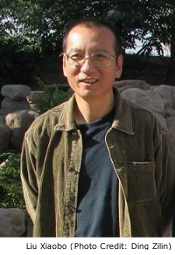 As a result, a number of famous mainland Chinese dissidents find themselves in the paradoxical position of a backyard bush that blooms on the neighbor’s side of the wall: enjoying great international fame but not recognized by the general public in their own country, known only within a small circle of people. The CPC regime does not have complete confidence in the social classes with vested interests (government officials and business owners) either. Therefore, while it protects and indulges them, it also guards against and controls them. The regime intentionally maintains a kind of blurry and flexible gray order: it flaunts its rule by law, but practices rule by man; it encourages influential officials and members of the elite to become rich but it also discredits the accumulation of capital by all those with vested interests as a grave original sin: every official abuses his power for personal gain, every businessman gives bribes and evades taxes, every intellectual seeks connections in high places and curries favor with the powerful, which dirties every cent earned by rich people. The dictators thus hold in their hands evidence that enables them to go after anyone at any time. Yesterday, they chased women with you and called you “brother”; today they might serve you a detention warrant. In the morning you may be a model entrepreneur worth hundreds of millions who attends a ribbon-cutting ceremony with a high government official; by the afternoon you could be a penniless economic criminal spurned by the entire society. Last year you were still a star admired by everyone; this year you might become a convict scrutinized by the whole nation. One moment you are onstage delivering a rousing report on the study of the [Party’s] “Three Represents” theory; the next you might be investigated by the Central Commission for Discipline Inspection of the CPC…. In the face of the fact that ill-gotten fortunes have become commonplace, the CPC regime keeps passing more and more laws and regulations, endlessly emphasizing its opposition to corruption and its rule of law, yet at the same time continuing to indulge the behavior of those who violate the law, who are lax in enforcing the law, and who break the law while enforcing it. The post-Mao regime has lost the taste for black-and-white ideological distinctions, but it dislikes the clear limits on power required by modern civilization even more. What it really wants is no ideological debate, legal murkiness, and to enforce the law at will. From the perspective of the top leadership, these are the best weapons to coerce all the influential bigwigs involved in a fierce struggle for power, and to threaten government officials and rich people into pledging their personal allegiance, or at least to be afraid to pose even a mild challenge to the highest authorities. From the perspective of the officials who are actually enforcing the law, the profit drive makes this kind of gray area most attractive, because it provides the ultimate haggling space for amassing wealth illegally. The same control tactics can be used on former dissidents who have gone into business, allowing them a way out while keeping them under the thumb, effectively putting an end to their ability to rejoin civic opposition groups. However, the very use of such pragmatic, flexible control methods, because of their thoroughly opportunistic nature, paints the doomsday picture of dictatorial politics—countless flaws in the system itself, questions of the regime’s legitimacy, and rapid erosion of its effectiveness—where the ruler and the ruled engage in expedient cooperation based on the principle of profit-before-everything. The loyalty bought by the promise of a comfortable life has a soul that is rotten to the core. Driven by profit-making above all else, almost no officials are uncorrupted, not a single penny is clean, not a single word is honest. Therefore, all these tricks used by the CPC are stop-gap measures that dictators use to cling onto the last of their power, but there is no way they can permanently prop up this dictatorial edifice that is already showing countless cracks.